Definition at line 508 of file pci.h. 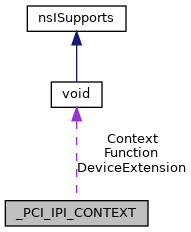 Definition at line 511 of file pci.h. Definition at line 514 of file pci.h. Definition at line 512 of file pci.h. Definition at line 513 of file pci.h. Definition at line 510 of file pci.h.